Hugh & Joe (Ugly Drinks) use Sage One from Day One! Blog » Customer Case Studies » Hugh & Joe (Ugly Drinks) use Sage One from Day One! Meet Hugh and Joe. 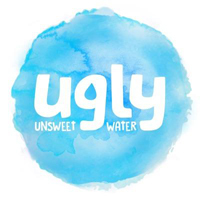 They’ve just embarked on a mission to shake up the food and drinks industry with their new venture Ugly Drinks. We’re proud to say they’re Sage One users from Day One and have invited them to share their adventure on our blog. Hi guys, please tell us about yourselves and your company? 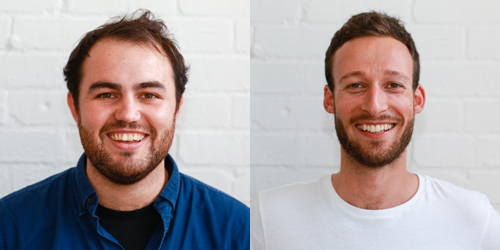 We’re Hugh and Joe – co-founders of a start-up drinks brand, Ugly Drinks. We’ve both always had a passion for food and drink and met whilst working at Vita Coco Coconut Water. We’re pretty nerdy when it comes to beverages and have spent most of the last three years checking out new products and innovation both in the UK and abroad. Ugly Drinks is the result of everything we’ve been building towards and now is the time to take the leap and go it alone. Can you describe each other in three words? Hugh: Erm…Joe’s passionate, trustworthy and curious. Tell us more about Ugly Drinks? Joe: Our business has stemmed from a joint belief that the food and drink industry needs to change. We’re tired of products on the market promising to make you slim, beautiful or full of energy. We think if you want to get fitter you can go for a run. If you want to be more beautiful, you should smile more and if you want more energy, you should get some sleep. Hugh: Our products are a range of 100% natural infused spring waters – no sugars, no sweeteners, no preservatives, no artificial flavours. We are beautiful on the inside and tell it how it is…no sugar coating…and if that’s going to make us ugly, so be it! That’s why we’re called Ugly Drinks. What does it feel like quitting the security of your day job? Hugh: Like growing up! There are equal amounts of excitement and nervousness, but we’ve been working up to it for 18 months so we’re ready. Joe: Because of the phenomenal growth we’ve experienced at our previous company, it feels natural. The sad part is leaving friends and colleagues there, but we both felt it was the right time to branch out on our own. So how did you know it was the right thing to do? Hugh: We actually don’t know who suggested it first. From the first time we met we knew we’d start a company together. It was just a question of when. Joe: There came a point where we weren’t learning enough anymore at our last jobs. We seemed to be progressing more in our interests outside of work. That’s when we knew it was time to move on. How much planning did you do before handing in your notice? Hugh: We worked on Ugly Drinks for 12 months before handing in our notice, so that works out at almost 18 months before launch. Everyone always says it’ll take longer than you think, and you think you’ll be the exception, but it actually does. You have to work out if your business is viable, if you’re going to make it. Setting up for success takes a lot of thought. Joe: Quitting was definitely the right thing to do, but of course not having a regular salary has taken some getting used to! Hugh: You can always look back, with hindsight and analyse the timing of everything, but sometimes you just need to jump. If it’s not the right decision, you learn. We’re enjoying the challenge and the journey. Do you have support from your family and friends? Joe: Both families have been really supportive and shown huge faith in us and Ugly Drinks. Hugh: That’s what gets you of bed at 5am. You’re not just doing this for yourself, you’re doing it for other people too. Does running your own business feel like a big risk? Hugh: Yes of course it will always feel like a risk, but the experience we’ve gained so far in our careers is invaluable. You learn a lot when you work for someone else and hopefully that will stand us in good stead. Gaining this experience was a conscious decision for us – it is invaluable when you’re taking a leap of faith. How are you managing that risk to make sure everything goes to plan? Hugh: We’ve tried to surround ourselves and work with the best people, from supply chain and design through to accounting and PR…learning along the way…That’s where Sage One comes in! Joe: It’s all about preparation. One of the most time-consuming things is building the business plan and model. When you start pulling together the financial documentation, you begin to know if the business is viable and what risks you can actually take. Joe: Getting a physical product and seeing it on a shelf. We can’t wait to get feedback from consumers and get people excited about it because we certainly are! Hugh: Alongside that there’s a strong mission to start to change the food and drink industry. We’re very much pro-transparency and hopefully we can provide a genuinely healthy choice for consumers. Over the next six months we want to build this movement – that really drives us. How will you know you’ve made it as entrepreneurs? Hugh: For me, it’s making sure I’ve given it the best I can. I think you know when you’ve done that. Joe: We have discussed milestones, but the real challenge is making sure you enjoy it along the way. What can our readers expect from you in the months to come? Hugh: We will soon be launching our range of 4 drinks: lemon & ginger, cucumber & mint, raspberry & lime and blackberry. They launch in Selfridges in June and will be rolling out from there. Joe: We’ll also be able to share our business guidelines and how we’re creating a company people enjoy working for. One last question…When do we get our first pack of Ugly Water delivered to Sage? Hugh: As soon as we kick off!